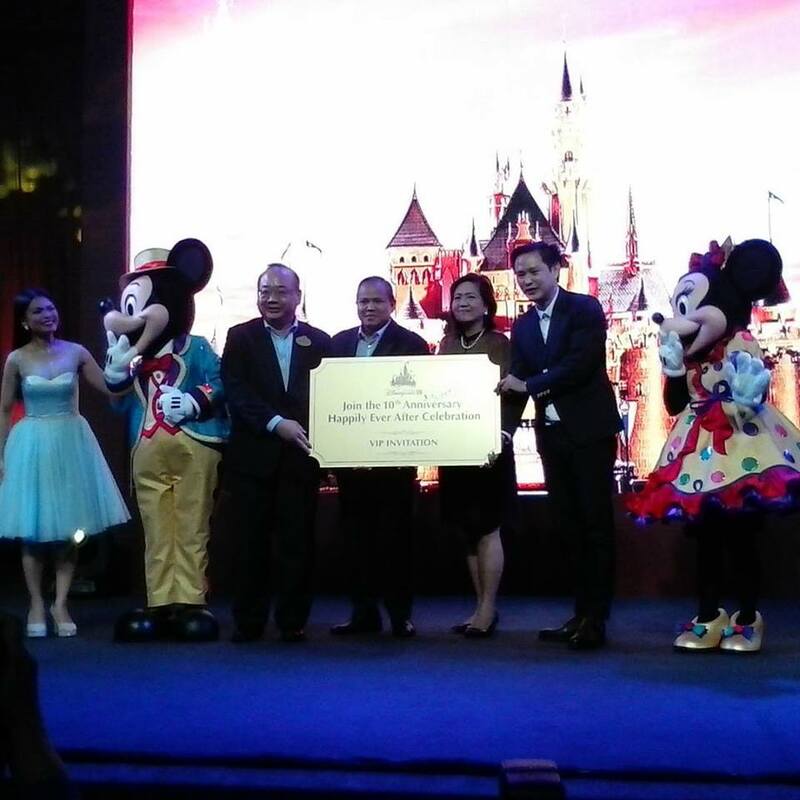 SM Lifestyle Entertainment Inc. (SMLEI) officially launched its Shop N’ Fly to Hong Kong Disneyland promotion during its Media Launch last February 4, 2016. 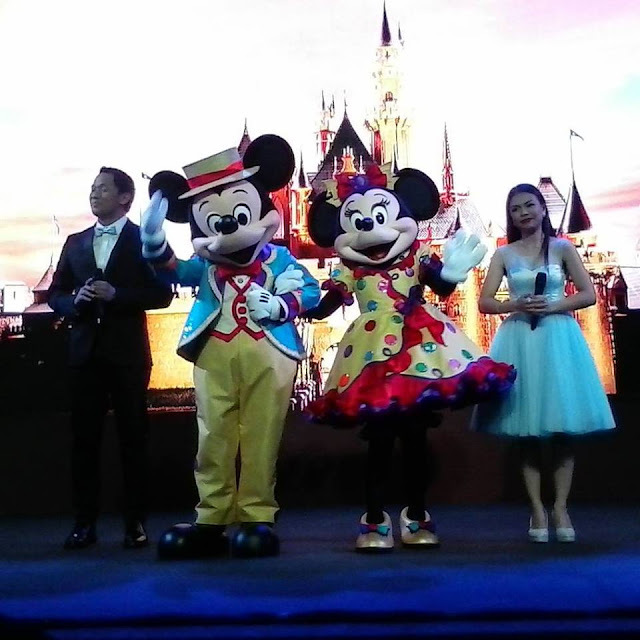 A unique and memorable Disney experience joining Mickey Mouse, Minnie Mouse and other Disney friends for Hong Kong Disneyland 10th anniversary celebration awaits 30 lucky SM patrons! Every PHP 1,000 single receipt purchase at any SM mall tenant from February 12 to March 13, 2016 will entitle consumers to one (1) raffle coupon and a chance to experience the magic of well-loved HongKong Disneyland attractions and its latest anniversary offerings. Disney merchandise worth PHP 500 and purchased at an SM mall also entitles the customer to one (1) raffle coupon as well. ePLUS card members will automatically receive two (2) raffle stubs with every minimum purchase of PHP 1,000. The 30 lucky winners will be drawn in March 2016. Hong Kong Disneyland holiday trip winners will receive round-trip airfare (economy class), 3-day-2night hotel accommodation at the Hong Kong Disneyland Hotel and 2-day Hong Kong Disneyland park tickets --- all for an entire family of four (4) persons. “Hong Kong Disneyland Resort is honored to join SM to create countless magical moments for all the Filipino guests. As we celebrate the park’s 10th anniversary this year, we cannot wait to introduce our latest shows and attractions to the Philippines, which is one of our key markets in South East Asia. We invite all Filipino guests to drop by designated SM Malls for a sneak peak of the year-long Happily Ever After celebrations,” said Frederick Chan, Director, Marketing, Hong Kong Disneyland Resort. Catch a glimpse of SM Malls’ celebration of Hong Kong Disneyland’s 10 years of magic at SM Mall of Asia, SM Megamall, SM North Edsa and SM Seaside City Cebu. Treat your family to a summer with Mickey and the gang for free! Shop at SM now to win an unforgettable, magical trip to Hong Kong Disneyland. Follow smsupermalls and ePLUStaptopay on facebook for promos and updates.